PRO SE PRESENTS: THE PODCAST- Episode 10-New Pulp Fantasy Maven Nancy Hansen! This week PRO SE PRESENTS: THE PODCAST welcomes one of Pro Se's longtime writers, Nancy A. Hansen, one of the essentially first writers with Pro Se. 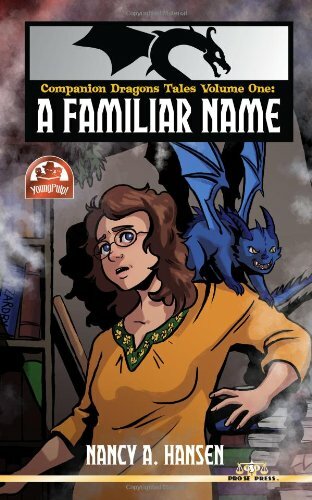 Nancy's latest work for Pro Se, COMPANION DRAGONS TALES VOLUME 1- A FAMILIAR NAME is the focus of her discussion with Tommy Hancock, talking about how this volume kicks off Pro Se's Young Reader line and how it's a long favored project of hers for many reasons. Also, hear about Nancy's own Author Imprint, Hansen's Way, and the wild worlds of fantasy rooted in her fertile imagination! It's All Nancy Hansen this week on PRO SE PRESENTS: THE PODCAST!